Manual lymphatic drainage (MLD) is a specialised massage technique that should only be practised by trained therapists. Our therapist, Beata is very experienced and has the added benefit of being a Kinesiology taping expert. 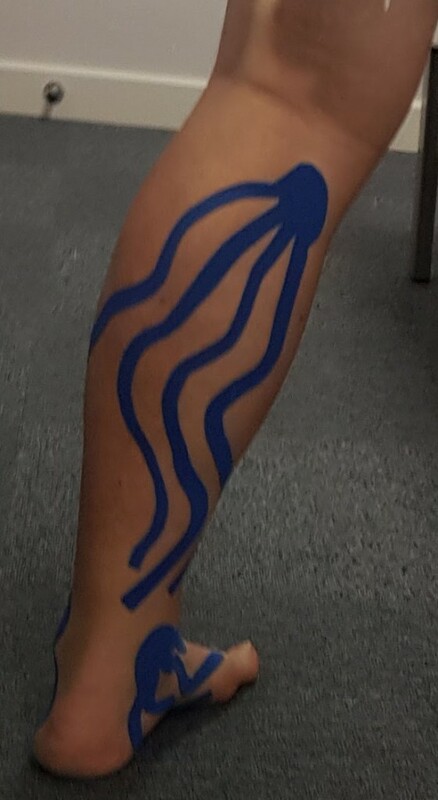 Clinically, researchers* have found that kinesiology tape can quicken the reduction in joint oedema (swelling). The theory is that the elasticity of kinesiology tape lifts the skin away from the swollen tissue below by loosely “crinkling” the skin. This is known as a sub-dermal vacuum. The vacuum provides less physical resistance to the removal of the retained fluid by your lymphatic and venous drainage systems. When you start, MLD is usually given in hourly treatments. The length of the course may vary and is sometimes combined with other treatments.